Steve Hayashi of Squirrel Hill fills a glass with filtered water on Monday, March 27, 2017. Meet two homeowners with high lead levels in the water and find out what they're doing to fix it. Every day, multiple times a day, Jesse Perkins runs the water in his kitchen sink for about a minute-and-a-half, until it runs cold, indicating that it’s fresh water from the main in the middle of his street. He does it before he fills up a glass of water or a pot for cooking. “I even try to flush it before I fill my cat’s dish,” he said, with a laugh. 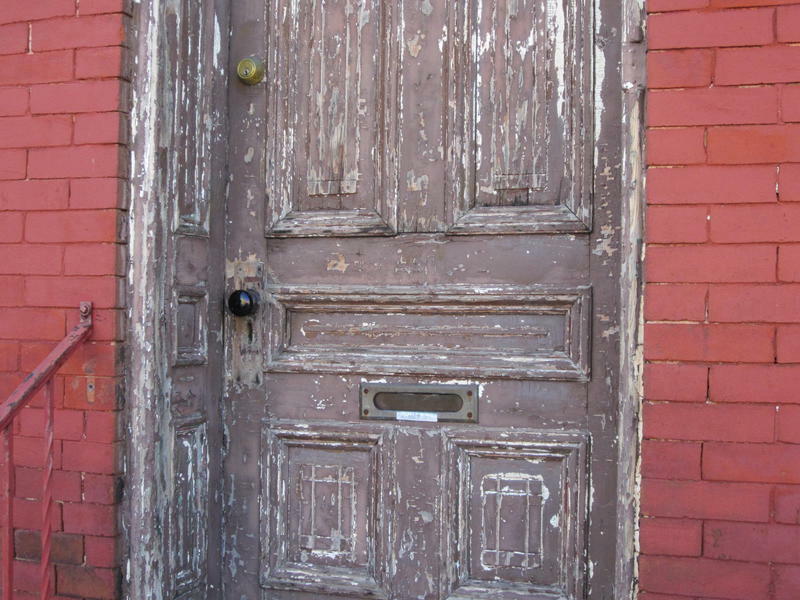 Perkins bought his Lawrenceville home in 2013, gutted it and spent three years fixing it up. As part of the renovations, he replaced all of the interior plumbing with PVC pipe and a flexible plastic called PEX. The one bit of plumbing he didn’t replace was the lead service line that carries his water 60 feet from the water main into his house. Perkins got his water tested for lead through PWSA and it came back at 65 parts per billion, more than quadruple the Environmental Protection Agency’s action limit. 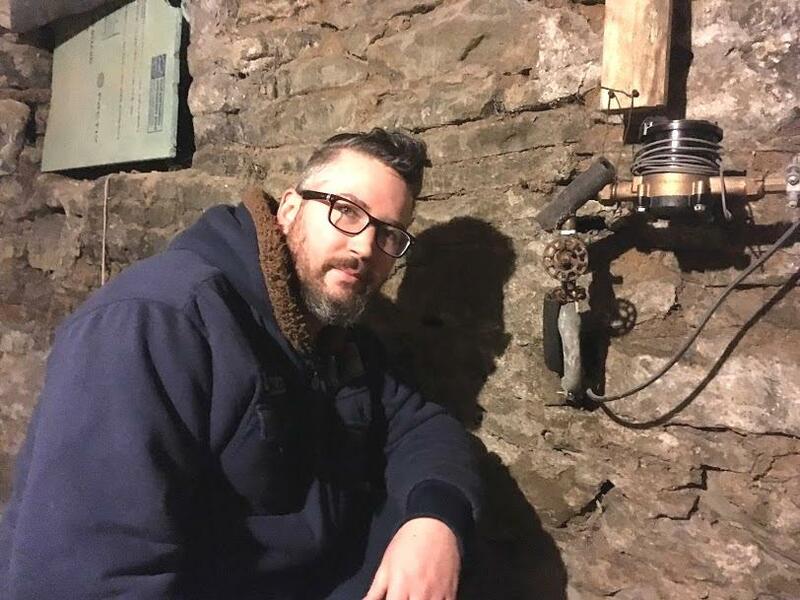 Jesse Perkins in his basement next to where his lead service line meets the water meter, on Saturday, January 28, 2017. He attended a community meeting held by PWSA in Lawrenceville in January, where Interim Executive Director Bernard Lindstrom told residents flushing would make their drinking water safe. Perkins said he’s followed that advice. "But the fact that it's coming through that lead line is still troublesome," he said. According to PWSA’s Interim Director of Engineering, Bob Weimar, service lines in Pittsburgh are typically five-eighths to three-quarters of an inch in diameter. If Perkins’ supply line is 60 feet long, it might hold up to one-and-a-half gallons of water. Depending on his faucet and aerator, anywhere between a half-gallon and two gallons of water can flow out of his tap every minute. So that minute-and-a-half of flushing should be long enough to get rid of all the water that has been sitting in the lead service line and bring fresh water from the main for Perkins, and his cat. But not every Pittsburgher trusts that method. Emily Drill and Steve Hayashi live in Squirrel Hill with their 3-year-old twins, Amy and Liam. They’ve had their water tested three times since last summer, with results ranging from 22- to 27-parts-per-billion, even with flushing. After about 90 seconds, the water temperature dropped from 67 to 57 degrees. Hayashi collected a sample and sent it to a private lab for analysis. “That too came back at about 23 parts per billion lead,” he said. Drill said, as a parent, it was a scary realization. 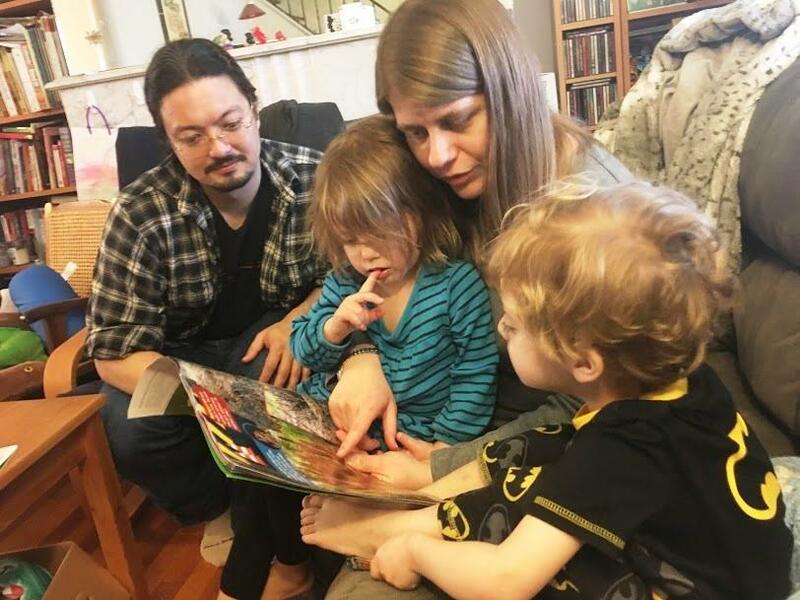 Emily Drill reads to her 3-year-old twins, Amy and Liam, while her husband Steve listens, on Monday, March 27, 2017. “It could have been a couple of years and, you know, it’s just worrying that we could have done damage to them and caused developmental problems without knowing it,” she said. 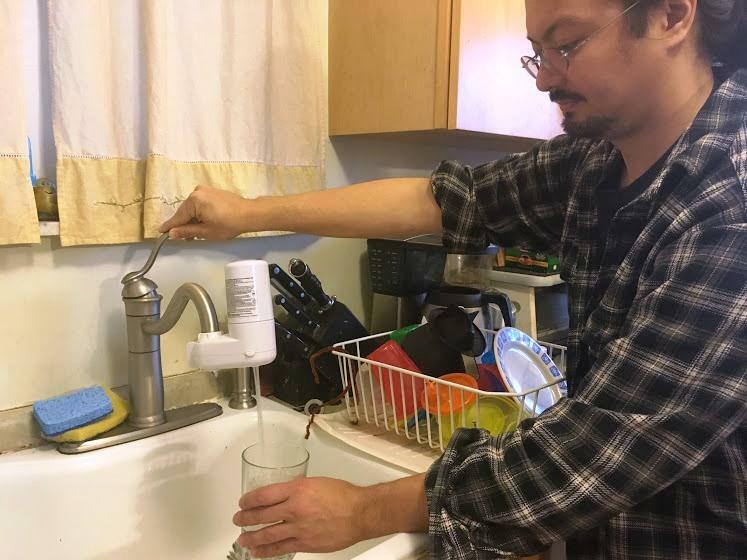 Hayashi said as soon as they got their first lead test results in November, he went to Home Depot and bought a faucet-mount Brita filter for about $25. It’s certified to remove lead by NSF, an organization that tests water filters and other products for compliance with safety standards. And Hayashi and Drill instituted a new rule in the house. Hayashi found out through PWSA that both his portion and the authority’s portion of his house’s service line are lead. 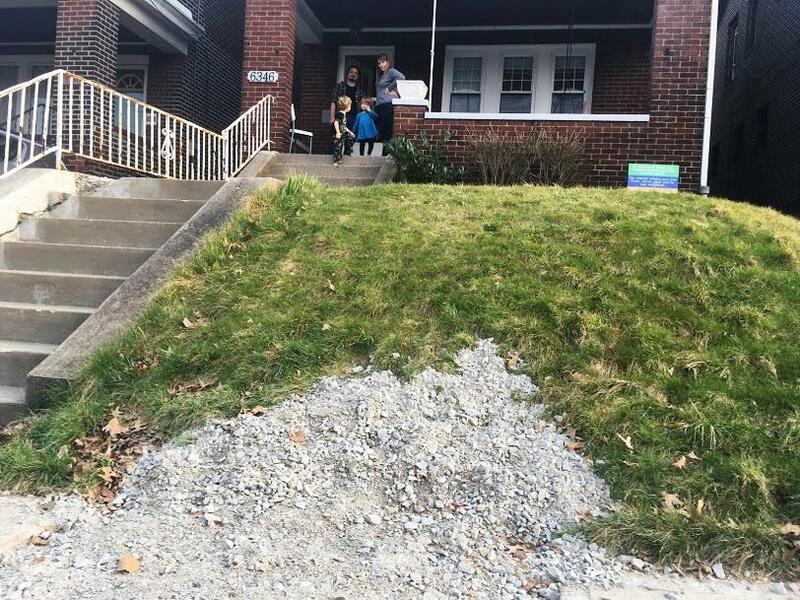 In mid-March, he got a letter saying PWSA would be replacing their side of the line within 45 days, and that he would have four weeks after that to replace his side while the ground is open. Steve Hayashi and Emily Drill and their children hang out on their front porch on Monday, March 27, 2017. PWSA dug up Hayashi's and Drill's sidewalk to to see if their service line was lead. It is. Hayashi attributed PWSA’s attention to his own tendency to be a squeaky wheel. Hayashi said he’s been getting quotes from plumbers, and expects the project to come in around $4,000. Jesse Perkins said he also plans to replace his lead service line and that PWSA told him they’ll do their portion of the line at the same time. But he doesn’t know when he’ll actually be able to get around to it. As for 3-year-old Amy and Liam, their parents took them to get their blood lead levels tested in January. Both came back perfectly normal, but they’re still not allowed to drink the bathtub water. Meet a family whose child had high lead levels in her blood, and find out what they did to fix it. Each week reporters, editors and bloggers join veteran journalist and host Kevin Gavin to take an in-depth look at the stories important to the Pittsburgh region. The problem of lead in drinking water has been well-known for years. But the tragedy in Flint, Michigan, where lead-tainted water poisoned hundreds of children and contributed to several deaths, has catapulted the issue into the spotlight. Sabrina Spiher Robinson and her husband Ted Robinson live on a hill in Upper Lawrenceville. From the set of steep steps leading to their front door, they can see the Allegheny River. But mostly what they see are construction scars. A visit inside one of the labs testing Pittsburghers' water for lead. About an hour east of Pittsburgh, in Indiana, Pa., inside a windowless building set far back from the road, the scientists at Environmental Service Laboratories test all kinds of things for safety and compliance with regulations, from drinking water to toys to hazardous waste. 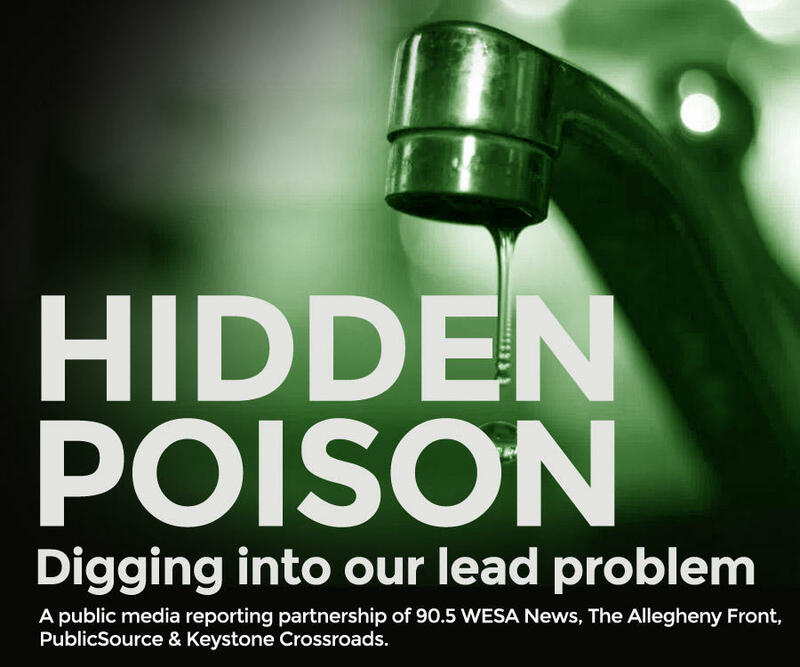 PWSA's customer lead testing program became overwhelmed with requests last summer. Some customers waited months for their testing kits, and even longer for their results. Carol McCullough, 76, lives in the West End neighborhood of Westwood in the home she and her husband have shared for nearly 50 years. 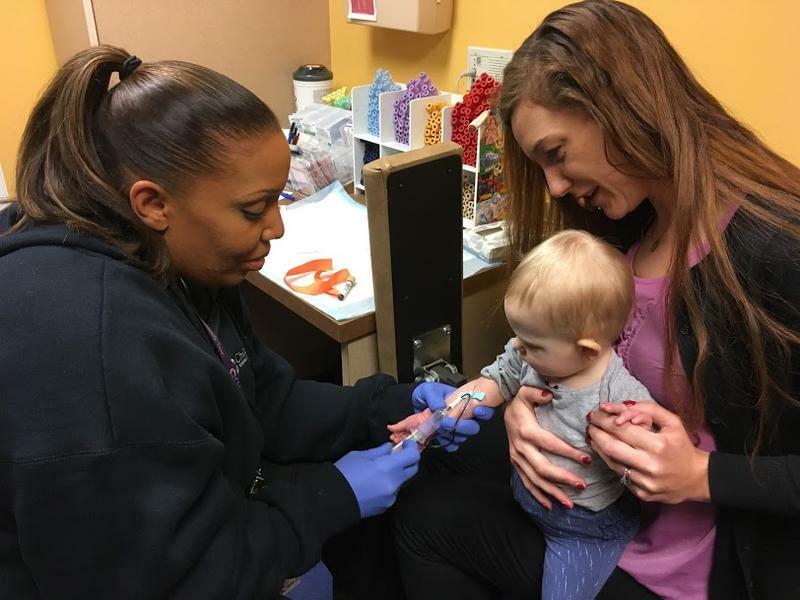 She had her water tested for lead years ago, but when the Pittsburgh Water and Sewer Authority announced last summer that it had found elevated lead levels in some homes, she decided to get another test, just to be safe.